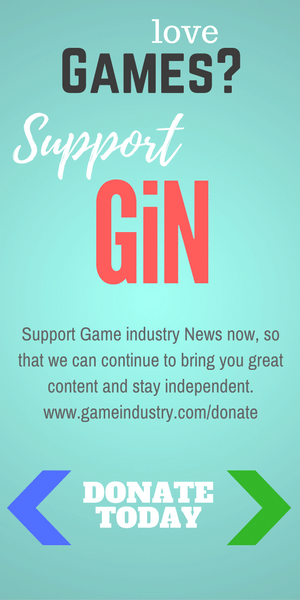 Nate has been a publishing professional for 20 years and his writing has appeared in The Wall Street Journal and The Washington Post Group.|With John Breeden, Nate founded GiN in 1997 to provide clear, factual journalism for the video game industry. He's proud of GiN's long record of honest coverage and wide-ranging topics. Nate is committed to maintaining GiN's high standards now and in the future. Sometimes, you know how you’re into a thing…then everyone ELSE starts to doing it? Sometimes it’s just not others biting your style. This week Jordan gets caught up in yet another hype wave for yet another game. Some titles have it, and some don’t. What is he getting himself into this time? GiN Publisher Nate Wooley visits Baltimore Comic-Con, and finds a show on the rise that can now be considered in the same breath as the giant cons we all know. Well, there’s games and then there’s games. And not every game is for every person. Sometimes the cultural gap is just too vast to overcome. Sad, really. Some people are just born to take it easy. Joe is one of those. Jordan, on the other hand, appears to fall under the getting-by-on-his-looks category. Feel our pain. GameCo gets its move on this week and Joe shows how to do it like a boss. Real world? A bit different. Still some fun times out there in stick-land, right? But is it possible being two dimensional isn’t all fun? This week the gang discusses exactly what and where it’s OK to kill people. Everyone people? No. Nazis? Sure. Zombies? Oh, yeah.